With experience in the Martial arts of more then 45 years Richard Norton has become Australia's top Martial artist.Having trained from a young age ,over the years he has studied Judo,Karate.Jiujitsu,Thai Boxing and BJJ.Gaining all this knowledge has made him a formidable martial artist. Now this Knowledge has also let him devise his own art (along with Bob Jones) of Zen Do Kai. Richard is also versed in several weapon systems from Japan and has trained with Martial arts legend Chuck Norris ,gaining a 5th degree masters in Chuck's own Chun Kuk-Do.Add to this a 5th Degree in Goju-Ryu Karate a 4th Degree in BJJ and a 5th Degree in Zen Do Kai and you have a man no unsuspecting Mugger wants to approach . Over the years Richard has trained with the likes of Tadashi Yamashita ,Pete''Sugarfoot''Cunningham ,the Machado Brothers ,Chuck Norris and many more. Training with such a varied selection of masters has given him a chance to adapt techniques and combine in to his own fighting art. Richard used this Knowledge in his career as a Bodyguard to the stars ,having been the bodyguard of David Bowie ,The Rolling Stones ,Linda Ronstadt and many others. Richard is in demand all over the world for seminars and exhibitions ,where fellow Artists can see or train in his system of street fighting drills ,BJJ,MMA and Weapon drills. Richard has also compiled a DVD set of his Black Belt Complexes ,which will take you through various aspects of his art.Check Below for a video of Richard in action. 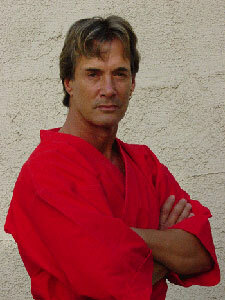 Now Richard has also starred or been involved in more then sixty feature films ,and it's this first that many would have found out about him.His first starring role was in a film with Chuck Norris .The film ''The Octagon'' .Richard played two parts ,but his main role was that of Ninja Enforcer Kyo (who better to have some one you train with to star as your adversary). Now we all probably saw the film and did not know who the guy in the mask was all those years ago,i first took note of Richard in the Hong Kong Film ''Twinkle Twinkle Lucky Stars'' .It was a chance for Richard to go up against Jackie Chan ,and even though they did have a play off early on in the film ,they never got to fight at the end as Jackie had Injured his arm if i remember and could not give it all for the fight .So step in Sammo to battle Richard in what is one hell of a brutal yet funny fight .But then facing Sammo is no easy task for anyone.This was in 1985. Now by Now Cynthia Rothrock had entered the game so to speak and Both her and Richard got parts in Sammo Hungs epic Shanghai Express (Millionaires Express in some regions) And again here Richard showed he could cut it with the fast paced Hong Kong film industry ,his main battle here was against Yasuaki Kurata a Japanese Karate legend who is part of the Japan stunt action club. 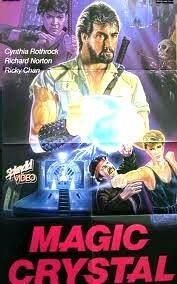 1987 and Richard got the part of Karov in the Magic Crystal which starred Andy Lau in the lead and also starred Cynthia Rothrock which of whom he would bond a lasting friendship with and make more then nine films with. Many more films came Richards way from all regions ,in 1989 Richard Portrayed Zac Conners in the Film ''The Sword of Bushido'',this was a fine film about the art of Bushido and Iaido,and Richard got to show his prowess with a sword ,lovely. The same year saw him star in The Blood of Heroes (Salute of the Jugger in the UK) it was a film in the mold of Mad Max ,many where doing the rounds at this time .The film starred Rutger Hauer.Of note Richard had starred in similar film of his own back in 1986 called Equalizer 2000. 1990 would see Richard team up with Cynthia Rothrock again for her American Debut China O'Brien.Richard would play Matt Conroy a Old Shool time boyfriend of Cynthia's China character .Along with Keith Cooke the three woluld probably make the best western martial arts flick since Enter the Dragon.They followed this with the sequel which if i am right was shot back to back ,if i am wrong let me know. 1992 saw Richard star in another two films with Cynthia ,the brilliant Rage and Honor and Lady Dragon. 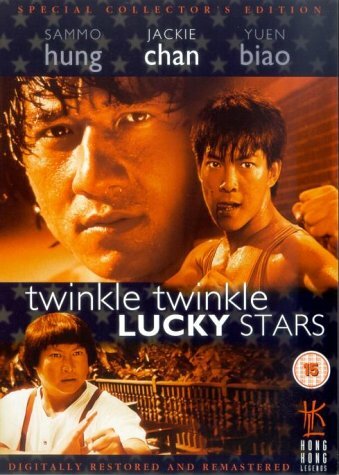 In 1993 Wong Jing was set to make a film about the Japanese detective who had Perverted tendencies ,Jackie Chan would star ,but Wong Jing had to clean up the story for Jackie's audience.As the main villain Richard Norton was the choice .Wong had worked with Richard on Magic Crystal and Jackie with Richard on Twinkle Twinkle . Richard was not keen ,his films in the west were doing well and to return to Hong Kong action was not something on his mind ,the long hours and toll on the body was not a choice Richard wanted to take.Wong Jing kept phoning and Jackie to.In the end Richard put such a high price on his role ,he thought there not going to pay that.To his surprise they agreed and Richard had a part in City Hunter. 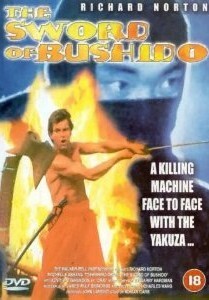 The City Hunter fight between Jackie and Richard was good ,but was marred by Richard being doubled for a lot of the behind shots .Wong Jing being Wong Jing was shooting the film to a schedule and to complete it on time had Richard shoot all the Frontal views for the fight ,but as Richard had to complete other scenes in the film some parts of the fight where doubled by a guy in a wig while Richard was off filming other parts.,and it stands out like a soar thumb ,more so on DVD ,on old VHS it looked less obvious.And Jackie fans will know Jackie was not pleased with the end result due to Wong Jings style of directing.But saying that City Hunter was a hit in some regions ,The Japanese reaction was mixed with some saying the film was not true to the Manga and others where glad to see Jackie portray a Japanese Icon. 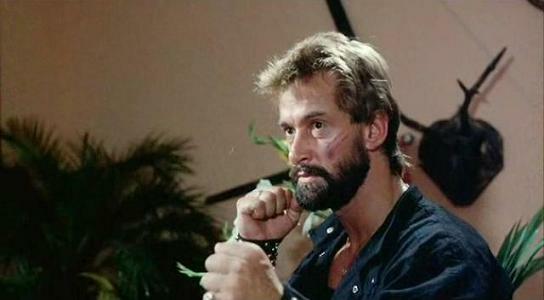 Also in 1993 Richard starred in the sequel to Rage and Honor ,and in 1994 he played a hit man for the Government who goes after another agent who has not gone ahead with a hit in the film Direct Hit. 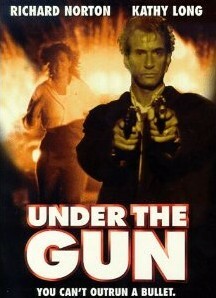 1995 saw Richard make a film many regard as one of his best ,I for one have not seen it yet (not available in the UK) but i know a man that has and he will be doing a review to be published on this very site this Month.The film in Question ''Under the Gun''. 1997 saw Sammo Hung Team up with Jackie Chan to direct Jackie in one of Jackie's more International flicks ,filmed in English and shot in Australia Mr,Nice Guy would see Richard return to work with the dynamic duo in this fun and energetic film .And to top that Richards role as Giancarlo the under world kingpin who has a fetish about cleanliness is great. More films followed with Nautilus in 2000 and Richard starred with Don''The Dragon''Wilson in the 2002 film Redemption.In 2006 he starred in the sequel to Road House ,the aptly named Road House 2 'Last Call. Since then another 3 films including Under a Red Moon which i am still waiting for here in the UK. Richard is married to Judy a TV star and presenter in Australia.Some years ago Judy had a horrific crash in a Jeep while filming a Documentary.The Jeep hit a tree and went over a cliff ,miraculously Judy survived but not without being in a coma for 4-5 weeks . It was Richard who helped her get back to health ,helping her learn to walk and do things we all take for granted. Judy has appeared in a few of Richards films to like ''Under the Gun'' and Sword of Bushido'' she also appears in shows on Australian TV. Source: Stuart Smith our resident Richard Norton aficionado who met Judy with Richard back in 2004 told me about his Discussion with Judy about this time in their lives..
Richard is in constant demand for films either in the acting department ,stunt-work or direction or seminars around the world showing and passing on his knowledge of the arts to fellow practitioners.As well as starring in films Richard has been behind the camera as a 2nd unit director/Fight coordinator and doubling for other actors.In 2007 he worked on The Condemned starring Steve Austin and Vinnie Jones ,he served as Fight Coordinator and doubled for Vinnie Jones. 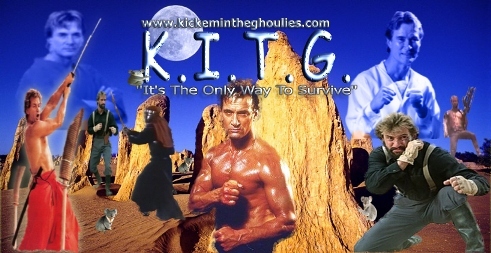 Always in demand for training ,seminars and his film work I'm know we will be seeing more of Richard ,i know of a plan to make a third in the Rage and Honor series he would again star with Cynthia Rothrock.Also there is a New Mad Max film being done and Richard is part of that project.With no letting up we wish him well . You can find more on Richard at his official site listed below. Here at K.I.T.G. we would like to thank Richard to agree to feature on our sites banner ,i was lucky enough to meet Richard at the 2010 Berlin Martial Arts Movie Convention .It was here that i asked him if i could feature him and like a true star he agreed .Richard thanks a lot you are a honorable guy and we wish you and your Family well . And as always K.I.T.G. will be here to inform you of he latest events . Richard was to be attending the UK Birmingham Martial arts show on May 12th and 13th. But due to work Commitments ,he had to cancel, Shooting was due to start on the 3rd of May for the new SPARTACUS series Richard is in, and the earliest he could get to the UK was on the Tuesday after the show. Hopefully he'll make it next time. Also news of another forthcoming film which Richard is due to start in the summer ,it also stars Cynthia Rothrock and is called Double Fury, will be great seeing Richard and Cynthia on screen together again. Mock Poster below. As we get them i will post some newer photo's .Watch This Space. Below is a list of Films Richard has starred in ,some where lead or co-starring roles ,while others are supporting roles.The ones highlighted are the ones reviewed on site,and of course this will grow over the coming months. Here's a Great scene ,with Richard fighting Chuck Norris in the Final of Walker Texas Ranger. A test Screening for the short film ''Man of Blood '' from 2009,this is pretty awesome.